It's the dead of winter and you've got to step out of the cozy interior of your vehicle to wrestle some freezing fence gate open. Drive through. Lumber back out. 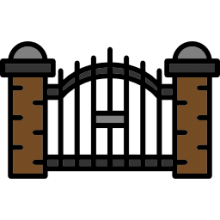 Close the gate. And get back in your car. What a hassle. In a world of drone delivery services and virtual reality headsets you'd think there'd be an easier way to open these gates. Well, there is. We're going to take a look at some of the best-selling automatic gate openers below and see how they compare. In our research, we found that the US Automatic Sentry Gate Opener was the best option. It's designed to be installed on gates up to 20 feet in length, as well as ornamental iron gates that are up to 12 feet in length and chain link fences that are up to 14 feet in length. 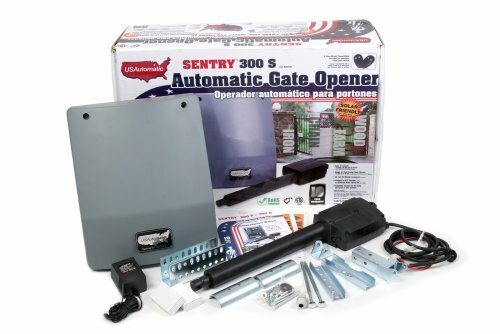 These gate openers do take a little bit of elbow grease and ingenuity to install sometimes, but the Sentry is a US-made product with a 10 year warranty and quality support- all reasons we think it's best-in-class. Let's take a look at how the automatic gate openers compare- be sure to check out the video reviews below the comparison table. Tired of schlepping out of your vehicle to open the gate and getting back into it again to drive through? Obviously a do-it-all automatic gate could be a great help. 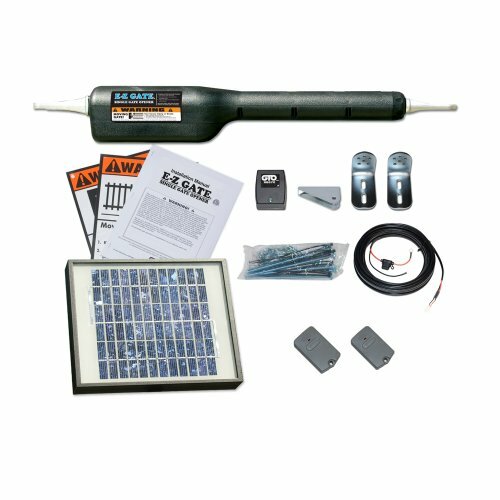 The Mighty Mule Solar Kit may be a smart choice for you if you are looking for a sturdy fence opener designed to lift gates weighing up to 550lbs. The automatic opener can fit in any type of gate such as vinyl, wood, panel, tube, chain link or ornamental varieties. Powered by 12 volts automotive or marine battery, the gate opener comes with 2 remotes and a solar panel of 15-watt capacity. Check out the video tutorial below for more in-depth installation instructions. Automatic gate openers make it much easier to enter and exit your gates without having to get out from your vehicle. Especially during cold weather when no one wants to be wrestling with a frozen metal gate. 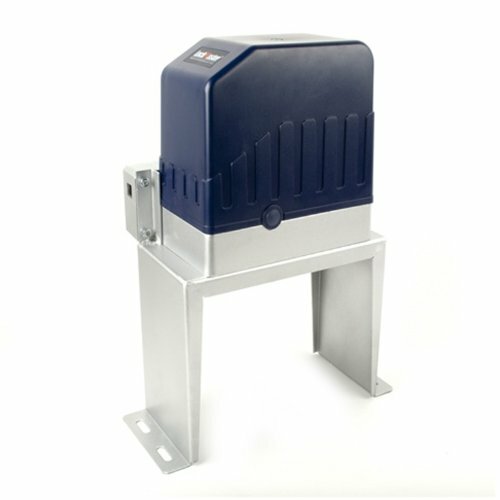 If you are shopping for a commercial-strength gate opener the Sentry 300 Automatic Gate Opener could be a smart selection. The product is made in USA, so you can be assured of high quality. Powered by a solar panel or AC transformer, the kit does not need any wiring. It is a plug-and-play installation with most users reporting that it installed in under an hour. The opener has a close or open time of 16 seconds, which does not vary much with the weight of the gate. Chain link gate types that extend to 14 feet, ornamental type iron gates of 12 feet length and farm gates of nearly 20 feet can be operated with this gate opener. Check out the installation video below for more details. The Alekko AC1400 is an especially lightweight automatic gate opener that supports almost 100 remotes. It’s powered by a 1.5HP 120 V motor and has a chain that extends to 20 feet. It can easily support gates that extend to over 50 feet in length and weigh up to 1400 lbs. 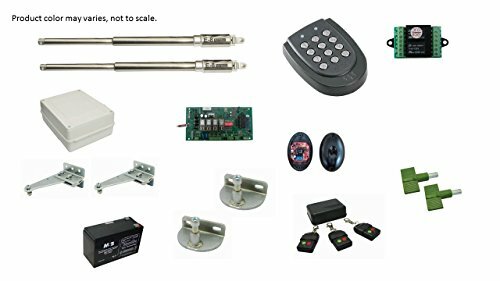 Alekko provides quality customer support, which has been useful for some consumers who have had trouble installing the gate opener on chain link fences, as well as issues with the bracketed magnet switches. That said, there have been several complaints about the gate malfunctioning and no longer opening after several months use- not a recommended purchase for that reason. Check out the video below for greater details on how the Alekko AC1400 performs. If you have tried the aluminum gate openers and want a sturdy and reliable stainless steel mode, the E8 400MM Stainless Steel Automatic Gate Opener may be a quality option for you to consider. The gate opener has an easy to use screw driven system for better reliability. As well, IR beams are included with the opener. Gates that weigh over 1000lbs or extend up to 22 feet can be opened with the dual gate opener. In case of power outages, the opener has a AC/DC back up system. If you opt for solar power, the gate opener is solar compatible, making it easy to increase your energy efficiency. The opener ships with a wired keypad of 1Soca ST-120 spec and a control box with a D1 control board. Also included in the package are primary, secondary and door holding brackets and all the required nuts and bolts for installation. Check out the installation below to get into the nitty-gritty of an auto gate install. It can be quite frustrating leaving your 4×4 in the pouring rain to drag a gate open in the mud. The Aleko AS1200 has had some complaints associated with it- particularly that components of the motor broke down and caused the gate to stop working. While some users have had success with this automatic gate opener- we can’t wholeheartedly recommend this model because of the documented malfunctions users have experienced. Technically, the opener is capable of moving gates that extend to 20 feet and weight up to 1320 lb. The motor is a powerful one with 24VDC capacity providing dependable performance. If there is a power outage, you can use the inbuilt battery backup that automatically activates when the power loss occurs. There are optional solar panel power features too, if you are interested in energy efficiency. What are Automatic Gate consumers Googling about? As a category of product, automatic gate openers provide a amazing functionality, but they can take some effort and ingenuity to get up and running. They need to be rugged devices because they often are installed in areas with highly inclement weather. One of the best and most overlooked features of using an auto gate opener is that it's possible to get a 30% tax credit. One Texan user wrote of having some difficulty having the gate opener push through snow during a rare arctic blast- he had to turn the gate opener off and reset it in order to get it back up and running. An electronics hobbyist writes of the US Automatic Sentry that he was pleased that the circuit board inside of the control unit was protected by a plastic film. He writes that this is an excellent way of ensuring the mechanics and circuitry of the automatic gate opener are not corrupted by insects or other waterborne problems. While we heartily recommend the US Automatic Sentry, there are some users that have had some issues installing it. One user writes that the controller card has repeatedly failed And that the limiting system has malfunctioned repeatedly. Perhaps this is an anomaly, as most users report high degrees of satisfaction using this particular automatic fence opener. 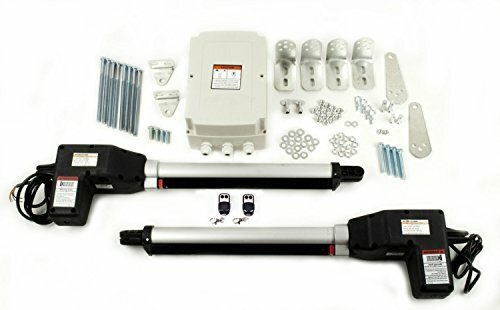 If you are considering purchasing an automatic fence opener for your driveway or farm, make sure you read our reviews and check out what people are saying on the associated product pages. While these items can be kind of expensive, they do provide an amazing solution and most of them are covered with robust warranties and good quality technical support should you require it. Plus there are dozens of videos of people installing gate openers on their properties-this is a great way to get some DIY support when installing your own.